As you will be aware, Anglian Home Improvements get involved with quite a few charities and one that is close to our hearts is Save the Children. Anglian has done numerous fund raisers with the children’s charity over the years and we have been involved yet again. 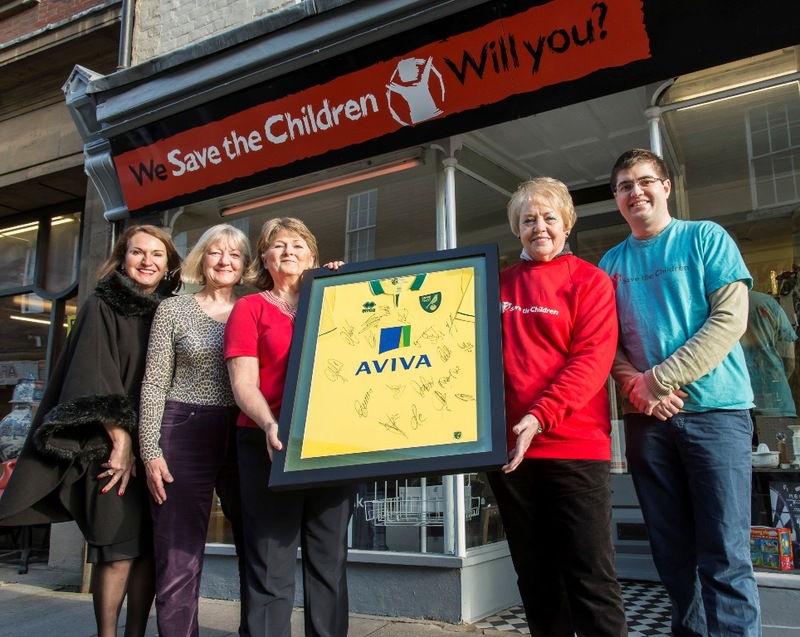 We donated a signed Norwich City shirt to the charity. The Norwich Supporters Group, Save the Children then set up a grid of 100 squares and sold each square off for £1 with all proceedings going to the charity and one lucky winner being selected once they were all sold. Congratulations to Marie Horvarth who was the chosen winner, pictured here with Anglian’s Melanie McDonald and Liz McRostie from the Norwich Supporters Group. The picture was taken at the Save the Children shop on Magdalen Street, Norwich yesterday.